Faxing remains an important communications tool for companies in healthcare, insurance, law, education, finance and manufacturing, to name a few. Although some still depend on manual faxing, it really is not the ideal option – particularly for small and medium businesses with limited resources. In this webcast we highlight the benefits and potential cost-savings when you switch from manual to automated faxing. We also explain the various delivery options for GFI’s faxing solutions –on-premise, cloud-based and hybrid – and how to choose the one that best suits your business needs. The Wild Wild Web is wasteland brimming with uncontrolled threats and dangers to IT security. Network and IT managers can prevent those threats from causing damage by preventing employees from accessing malicious sites in the first place. Deploying web filtering and enforcing an Internet access policy is the way forward. 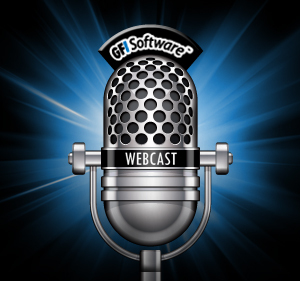 This webcast discusses the dangers of the wild wild web, and explains how common sense and an Internet policy, backed up by an automated web security management tool such as GFI WebMonitor®, can help your business to make the most of what the Internet has to offer, without the dangers.